Currently most of my photography work is for Google Maps which involves still photos as well as 360 degree virtual tours. 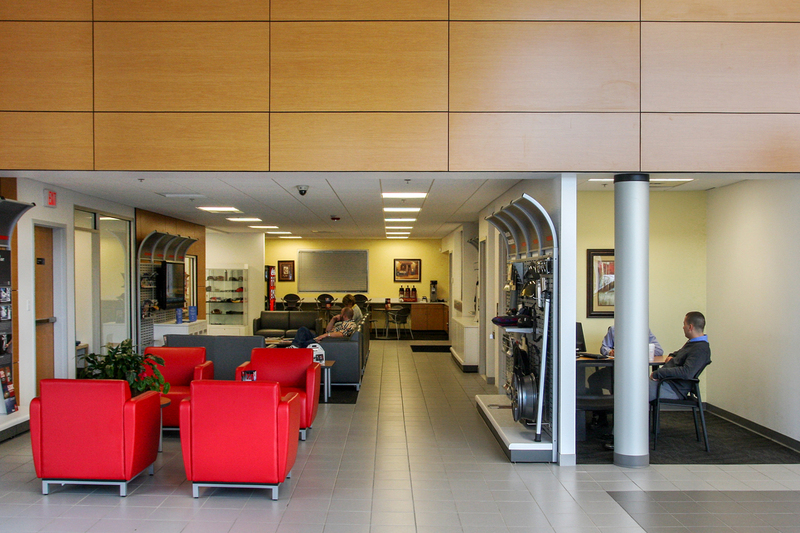 Today I shot Nissan Village of North Attleboro and really liked this shot from the set. There is something about the lines and the symmetry that really caught my eye. Anyone who has done any type of Architectural work knows that making all the walls and lines straight in post is a very important part of the job, I believe this shot shows that pretty well.